The Chabad Jewish Discovery Centre, serving the Jewish population of Mississauga, Oakville, Brampton and Milton, is located at 1552 Dundas Street West, in the west end of Mississauga. 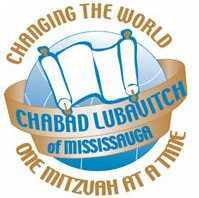 The Chabad Jewish Discovery Centre (serving the Jewish population of Mississauga, Oakville, Brampton and Milton) run by Rabbi Yitzchok and Sara Slavin, was established ten years ago as a branch of the world-wide Chabad Lubavitch movement. Our mandate is to help all Jews regardless of age, background, affiliation or financial status. The Chabad Jewish Discovery Centre runs a variety of programs for children, college students, adults, families, hospital patients and senior citizens offering a Jewish helping hand with no strings attached. With the non-judgmental policy that is the heart and soul of the Chabad philosophy, we will do our utmost to reach out to all Jews in Mississauga, Oakville, Brampton and Milton, and to meet their Jewish needs. For any additional information about The Chabad Jewish Discovery Centre please call 905-268-4432 or e-mail info@jewishmississauga.org.